It was a great spring day despite the rain. The rain started as a mere tinkle, then progressed to a downpour later in the afternoon. We deployed all of our 10×10 canopy tents, and this helped the vendors survive the deluge. We had over 130 vendors despite the rain. There were a number of good interactions with the police today. At least two vendors were escorted out of the market after selling questionable items. We made a point of thanking them, because these vendors were warned by volunteers earlier that their stuff was not allowed at the market. One vendor was selling clearly tagged items, and another had a bike that was quite suspect. Our volunteers reasonably can not lay a hand on a vendor, so asking them to leave is the limit of our powers. We welcome the help from the VPD to allow us to create an orderly, safe, and family friendly market. Jacek constructed a number of new carts out of spare parts – using the HXBIA tool share tools – and they are working great. We were able to lower the weight per cart, and now have three table carts, instead of piling them on two. Our constantly evolving operation keeps improving and allowing us to build a better market to serve the vendors of the DTES. In many ways, we believe that we are turning a corner. With a small boost in operational support for things like private security, improved perimeter fencing, and a proper vendor ID tag system, we know that we can eliminate much of the negative stereotype for our market, and create the tourist attraction that the DTES desperately needs. When: Sunday, May 25th. Noon – 3:00 p.m.
Come and do a little bargain shopping, meet some WISH volunteers and staff and support a great cause! It was an amazing sunny day. This was our Victoria Day market. Like last week, we had an overflow of vendors, and needed to get out our hose and start washing the area around the corner on Cordova St.
We sent some volunteers to check on it at 11:30 and did not see any vendors. By 12:30 we already had an angry email from Steven, the manager of the Van Horne about having to get the hose out himself and chase the binners away. They were blocking the Queen store again. We took the hose out and made sure that the binners did not come back. A number of exchanges between the coordinators and the Van Horne people suggested that they were happy with the outcome. We did have an incident with one of the illicit drinkers getting out of hand. We were forced to resolve the issue ourselves. It was a beautiful day, a clear sign of summer. The weather was perfect, and the vendors and customers came in droves. I was also our Mother’s Day market. We made close to record amounts of revenue, and are starting to search for other revenue streams… soft ice cream? slushies? hot dogs? training site could be 62 East Hastings. It was a rainy spring day. Our 204th market at Pigeon Park on Sunday. In less than a month, we will be celebrating a full 4 years at Pigeon Park. The rain limited the number of vendors early in the morning, and made the set up phase quite a bit easier. No one likes working in the rain, but it was not too cold, so not many volunteers complained. This market was the eve of Cinco de Mayo, and we took the opportunity to play some Latin American music – Mana, Gypsy Kings, and more. 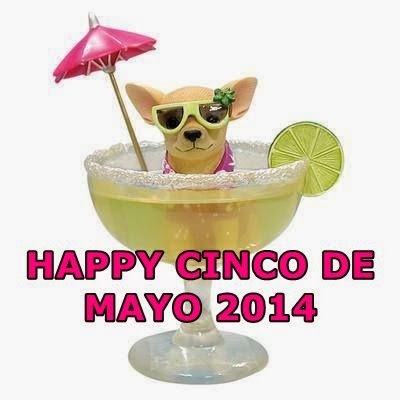 Cinco de Mayo is a celebration to mark the anniversary of the battle of Puebla in 1862 when a Mexican Nationalist force of 4,500 men under the leadership of Ignacio Zaragoza Seguín defeated a much larger French army (over 8,000 men). The French army at the time was considered the most professional in the world. It took many years after the battle of Puebla for the French to finally withdraw from their Mexican colony, but after this date, no other European power attempted to establish a colony in the Americas. This was our Cinco de Mayo market. 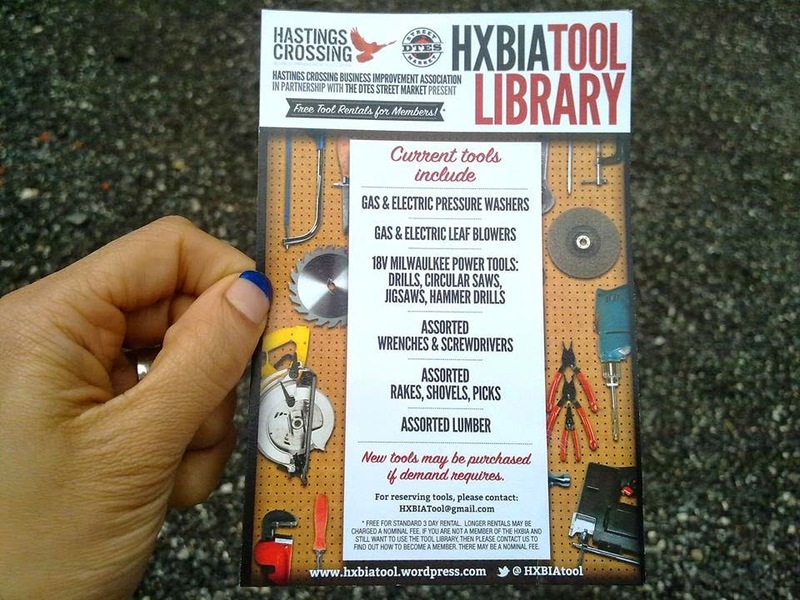 I walked around and handed out postcards for the Hastings Crossing Tool Share Library. This is a great joint initiative by the Street Market and the Hastings Crossing BIA. 62 East Hastings will hold a set of tools, and local businesses will be able to borrow the tools for free for a few days. We have a gas pressure washer, two leaf blowers, lots of shovels and rakes and assorted power tools. It is totally awesome.